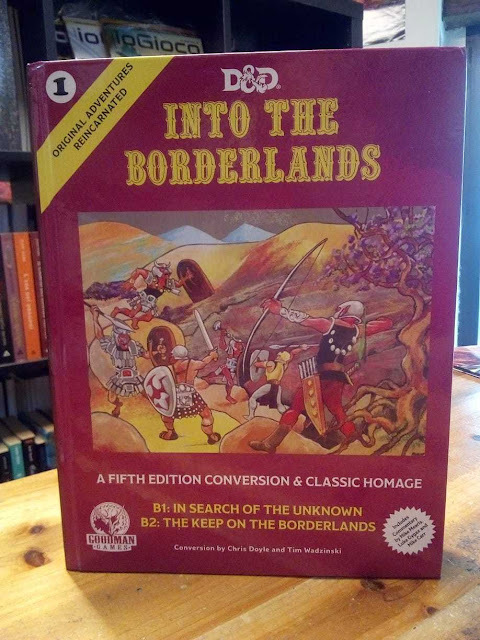 July 18, 2018 – The DM Magazine interview of our Dark Master himself, Joseph Goodman, about Original Adventures Reincarnated: Into the Borderlands! April 21, 2017 – The Week In Geek radio show has a lengthy interview with Brendan LaSalle about DCC, Xcrawl (both game and potential movie! ), and all things gaming. April 21, 2017 – The High Level Games blog interviews Michael Curtis, where he answers six questions about DCC. 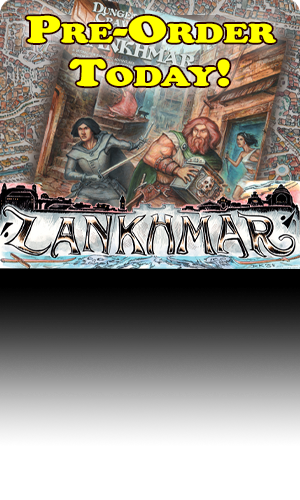 April 21, 2017 – Legends of Tabletop grills Michael Curtis about the upcoming DCC Lankhmar boxed set, getting him to spill as many beans as he is able. January 10, 2017 – The Spellburn podcast does a whole episode on how to break DCC RPG, and how to prevent others from breaking yours. December 23, 2016 – The Spellburn podcast invoked Brendan LaSalle, and he talks about his DCC adventure Hole in the Sky and all things Xcrawl. December 1, 2016 – The Spellburn podcast talks about how demons operate in the DCC RPG system, and how to use them as effective bad guys. 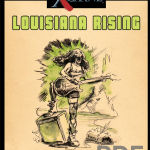 December 11, 2016 – The Geekline podcast interview Brendan LaSalle about his latest adventure, Xcrawl: Louisianna Rising. November 30, 2016 – The Drink Spin Run podcast presents the Old School Games Design Panel at U-Con 2016, featuring Brendan LaSalle. 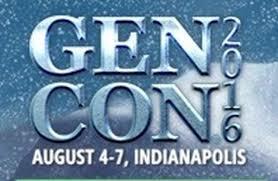 August 23, 2016 – The Goodman Games Gen Con 2016 seminar videos have been released, and if you were unable to attend, or just want to re-live each one now, they’re up for your video-viewing pleasure. April 13, 2016 – Microphones of Madness talks to Jon Hook about the Age of Cthulhu line of products. 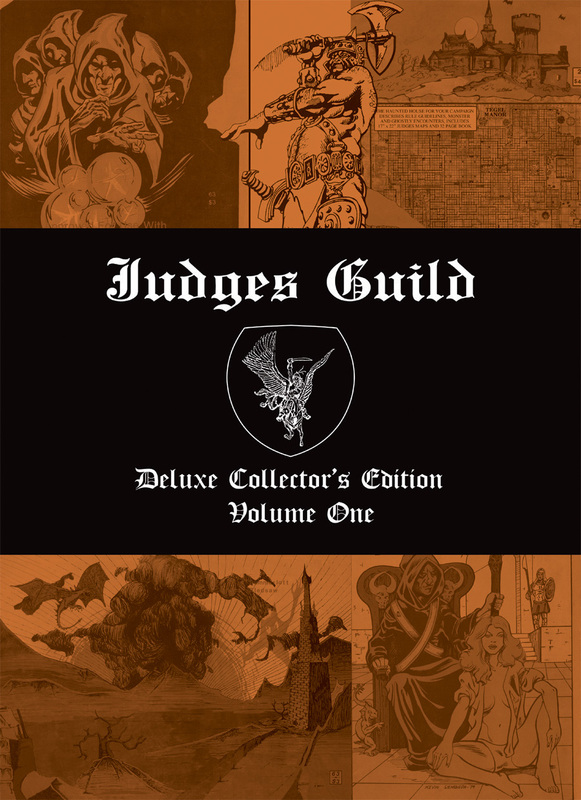 March 5, 2016 – What’s New at Goodman Games — Gary Con VIII Joseph Goodman, special Guest Bob Bledsaw Jr., and assorted minions discuss all the latest upcoming projects from Goodman games — including the Judges Guild Deluxe Collector’s Edition, Vol. 1. 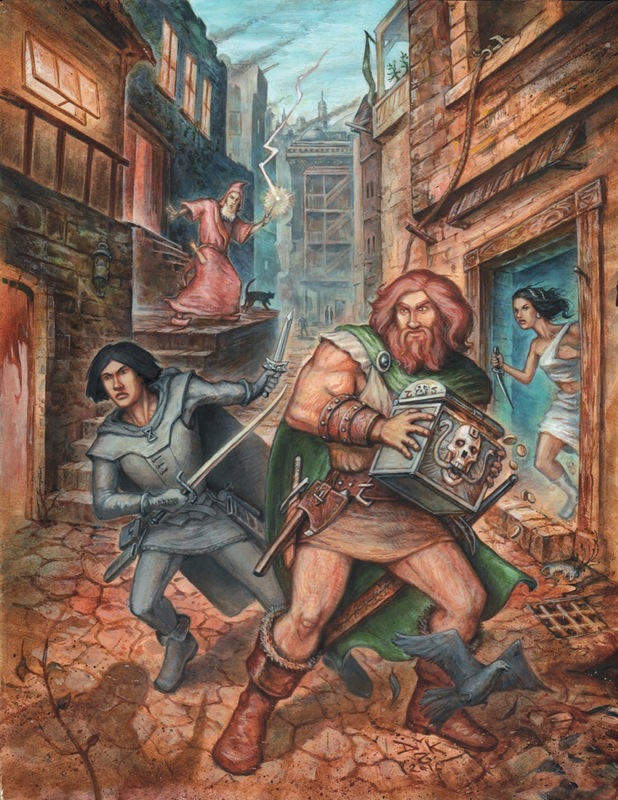 January 28, 2016 – The Sanctum Secorum podcast interview Michael Curtis and explore the connections between his DCC RPG setting for The Chained Coffin adventures and the works of Manly Wade Wellman. January 26, 2016 – Brett and Sean from the Gaming and BS podcast discuss DCC RPG with special guest Jen Brinkman…for two episodes! For part one click here, and for part two click here! November 30, 2015 – Jim Wampler at the Designers and Discourses podcast talks to Harley Stroh about his sword and planet setting DCC #84: Peril on the Purple Planet! November 18, 2015 – Jim Wampler at the Designers and Discourses podcast talks to James M. Ward about creating Metamorphosis Alpha! October 27, 2015 – Jim Wampler at the Designers and Discourses podcast talks to Michael Curtis about his inspirations for DCC #83: The Chained Coffin. August 5, 2015 – The Spellburn podcast recorded our Gen Con seminar, “What’s New With Goodman Games.” Watch it now to find out about all our latest projects! June 9, 2015 – The Spellburn podcast recorded our North Texas RPG Con seminar, “What’s New With Goodman Games.” Watch it now to find out about all our latest projects! July 13, 2015 – Brendan LaSalle talks about Xcrawl on the Doc Palindrome podcast. You can listen to him here! 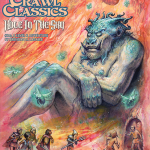 May 22, 2015 – Xcrawl creator and DCC RPG writer Brendan LaSalle talks to the Grown As Gamers podcast at MEPAcon. The interview starts at 18:30. Listen to Brendan discuss Xcrawl, DCC RPG, and a bunch of other random topics. April 3, 2015 – The Spellburn podcast recorded our Gary Con VII seminar, “What’s New With Goodman Games.” Watch it now to find out about all our latest projects! November 3, 2014 – The Spellburn podcast interviews Joseph Goodman regarding DCC RPG, Goodman Games, and everything else in between! August 21, 2014 – The Spellburn podcast recorded our Gen Con seminar, “What’s New With Goodman Games.” Watch it now to find out about all our latest projects including two new announcements! July 31, 2014 – The spellburn podcast interviews adventure author Harley Stroh regarding our Kickstarter for his adventure module, DCC #84: Peril on the Purple Planet! May 12, 2014 – The Spellburn podcast interviews adventure author Michael Curtis regarding our Kickstarter for DCC #83: The Chained Coffin! January 13, 2014 – The Spellburn podcast interviews DCC RPG cover artist and visual mastermind Doug Kovacs about DCC RPG, his art, and many other things. January 8, 2014 – Geeknative interviews DCC RPG creator Joseph Goodman about Dungeon Crawl Classics and the “New Year, New Game” promotion from DriveThruRPG. October 6, 2013 – The BS! Podcast interviews Xcrawl creator Brendan LaSalle about Maximum Xcrawl! 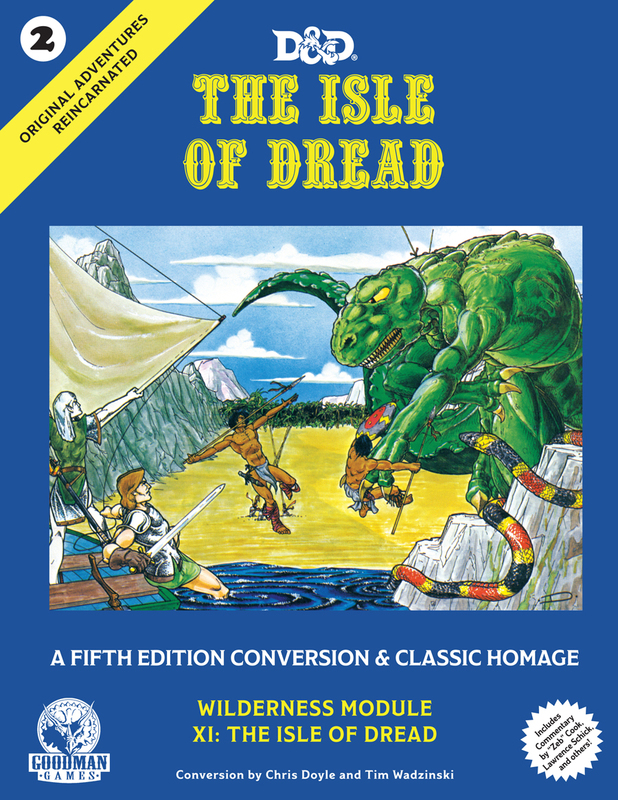 August 19, 2013 – The Impressions Vidcast interviews DCC RPG creator Joseph Goodman regarding the Dungeon Crawl Classics Role Playing Game, Free RPG Day, and other industry topics. July 29, 2013 – The Spellburn Podcast interviews Harley Stroh, who discusses his passions and projects, and shares some tips and tricks for aspiring game designers and judges. June 27, 2013 – The Spellburn Podcast interviews Michael Curtis about game design and his many DCC RPG adventures. March 15, 2013 – Grognard Games covers Tim Kask’s corner with Michael Curtis, where he discusses The Dungeon Alphabet, his DCC RPG modules, and other topics. July 24, 2012 – The Jennisodes podcast interviews Michael Curtis about The Dungeon Alphabet, his DCC RPG modules, and his upcoming Adventurers Almanac. May 20, 2012 – Suvudu interviews Joseph Goodman regarding DCC RPG and more. March 5, 2012 – Greifenklaue’s Blog interviews Joseph Goodman and Harley Stroh regarding DCC RPG, adventure design, and more! Read the interview: part one and part two. 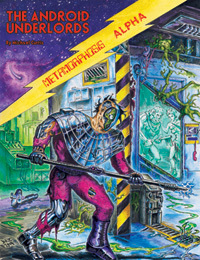 February 5, 2012 – GameKnightReviews interviews Joseph Goodman about DCC RPG and other topics. June 23, 2011 – The Tome Show reviews Amethyst: Foundations and interviews creator Chris Dias. May 16, 2011 – Here Be Gamers reviews Amethyst (starts at 20:00 mark). March 1, 2011 – CA Live interviews Chris Dias, creator of Amethyst. February 3, 2010 – The Tome Show reviews an assortment of Goodman Games products, including DCC #56: Scions of Punjar, DCC #58: The Forgotten Portal, In Search of Adventure, and Hero’s Handbook: Tieflings. November 17, 2009 – The Ninja Mountain Scrolls interviews Erol Otus, Jeff Easley, Stefan Poag, and Joseph Goodman regarding The Dungeon Alphabet, old-school art, and other such things! November 9, 2009 – All Games Considered continues their Age of Cthulhu interviews by interviewing Rick Maffei, author of Age of Cthulhu 2: Madness in Londontown. October 29, 2009 – All Games Considered interviews the Goodman Games crew about Age of Cthulhu. Listen to the podcast to learn about the inspirations, creative process, and playtesting regimen, including discussion of the upcoming Age of Cthulhu 3: Shadows of Leningrad. October 1, 2009 – Cincinnati Public Radio covers YottaQuest, recipient of the America’s Favorite Game Store award from Goodman Games. September 20, 2009 – RPGNow has recapped the Best of 2008, including a variety of Goodman Games titles! September 2, 2009 – Myriad Games interviews Joseph Goodman at Gen Con regarding new releases, retailer support, and Gen Con excitement! August 31, 2009 – Fist Full of Comics and Games interviews Joseph Goodman at Gen Con regarding 4E sales, upcoming products and other fun things. August 15, 2009 – RPGBomb interviews Joseph Goodman at Gen Con in two parts: part one and part two. July 18, 2009 – Interested in 4E, the gaming business, and other things? Read the recent Kobold Quarterly interview of Goodman Games owner Joseph Goodman. June 1, 2009 – At KublaCon 2009, OgreCave interviews Harley Stroh. May 6, 2009 – Joseph Goodman explains our annual Dungeon Crawl Classics 20% off sale. April 17, 2009 – Kobold Quarterly interviews staff writer and Level Up Editor-in-Chief Aeryn “Blackdirge” Rudel! February 28, 2009 – The Tome Show reviews the Character Codex. February 27, 2009 – Atomic Array interviews Harley Stroh and Aeryn Rudel about Master Dungeons! February 23, 2009 – Role Playing Public Radio posts an actual play recording of Tides of Room from In Search of Adventure. 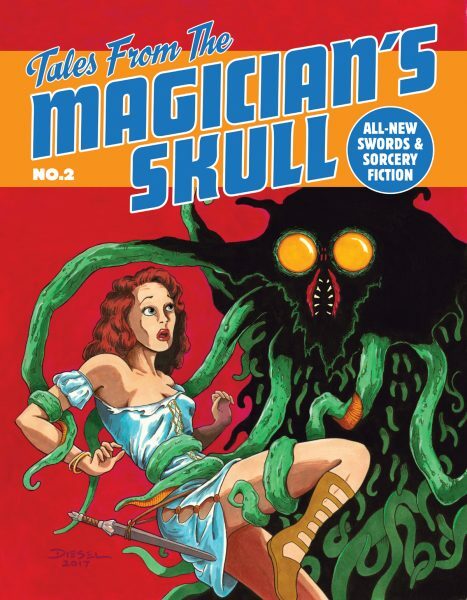 February 23, 2009 – Red Jason’s Points of Light blog interviews Harley Stroh about his 4E work. January 30, 2009 – The crew recorded some fun videos at D&D Experience! January 28, 2009 – RPG Countdown profiles the hottest sellers of the last two weeks, including an interview with Aeryn “Blackdirge” Rudel regarding Blackdirge’s Dungeon Denizens and Critter Cache! 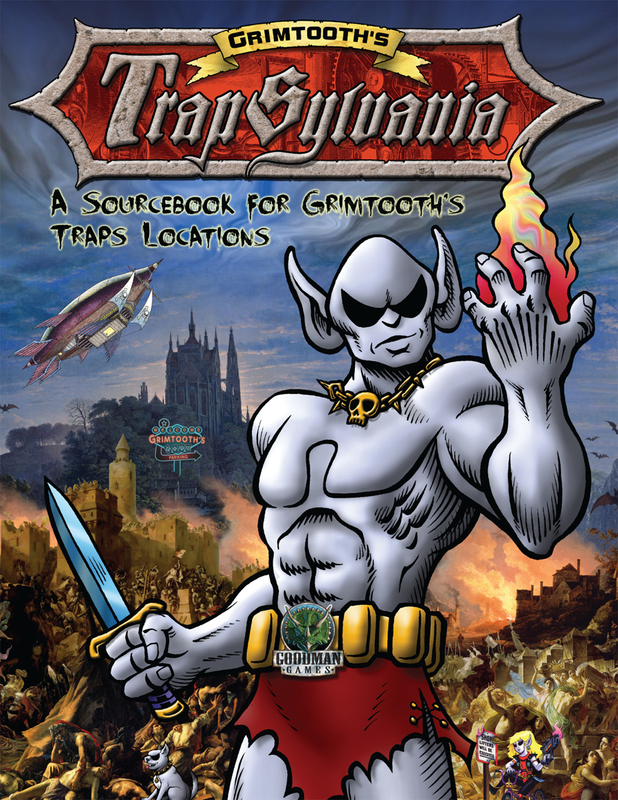 November 26, 2008 – The Tome Show reviews Dragora’s Dungeon. 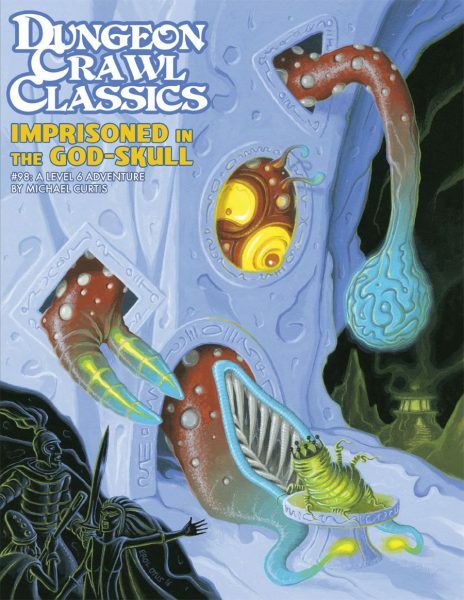 November 15, 2008 – The Tome Show reviews Dungeon Crawl Classics #53, #43, and #55. October 30, 2008 – OgreCave has a Random Encounter with Harley Stroh regarding the upcoming Age of Cthulhu line. September 21, 2008 – The Gamer’s Haven records live play sessions of DCC #53: Sellswords of Punjar! September 17, 2008 – Kobold Quarterly interviews Harley Stroh regarding dungeon crawls, adventure writing, fourth edition, and more. September 9, 2009 – The Basics of the Game interviews Castle Whiterock co-author Chris Doyle at Gen Con. 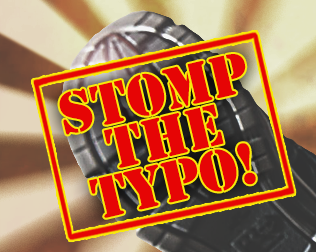 August 30, 2008 – The Tome Show interviews Harley Stroh, DCC Line Editor, regarding DCC #53: Sellswords of Punjar. August 12, 2008 – All Games Considered interviews Dan Cross, creator of Eldritch. August 2, 2008 – All Games Considered interviews Brad McDevitt, creator of Haiii-Ya! July 28, 2008 – Role Playing Public Radio interviews Adrian Pommier regarding his role with the DCC Gen Con tournament and other work. 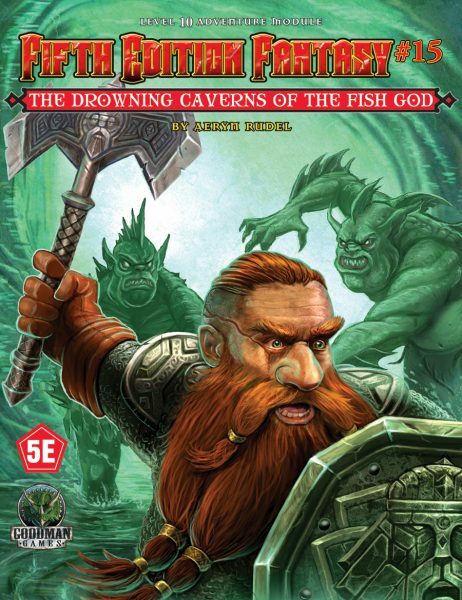 July 24, 2008 – Ogre Cave interviews Joseph Goodman on the business side of Dungeon Crawl Classics and 4E. April 27, 2008 – Ogre Cave talks to Joseph Goodman at the GAMA Trade Show, as does The Digital Front. February 11, 2008 – The Tome Show interviews Steve Greer about GM Gems. January 11, 2008 – Pulp Gamer interviews Joseph Goodman about 4th edition, GM Gems, Haiiii-Ya!, Eldritch, and other things. November 21, 2007 – The Tome Show interviews Luke Johnson about his work for Wicked Fantasy Factory. November 3, 2007 – All Games Considered interviews Brendan LaSalle, the creator of Xcrawl, as well as Chris Doyle live from the floor of Gen Con regarding Castle Whiterock. October 13, 2007 – Gamer’s Haven talks to Chris Doyle and Adrian Pommier, creators of Castle Whiterock. September 28, 2007 – OgreCaveinterviews Brendan LaSalle, the creator of Xcrawl, regarding the Xcrawl fiction writing contest.